Grimer is a Poison type Pokémon introduced in Generation 1. 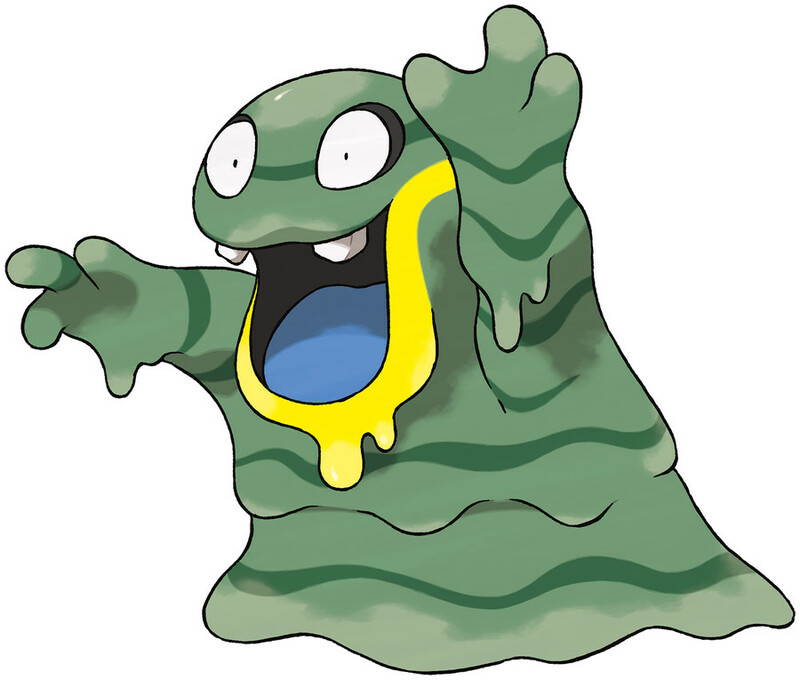 It is known as the Sludge Pokémon . Grimer has a new Alolan form introduced in Pokémon Sun/Moon. The effectiveness of each type on Grimer. In Generation 1, Grimer has a base Special stat of 40. In Generations 1-4, Grimer has a base experience yield of 90. 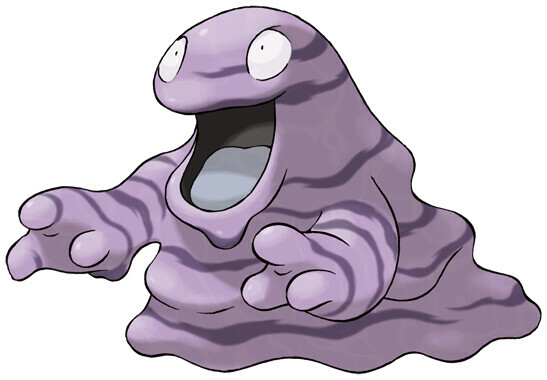 Born from polluted sludge in the sea, GRIMER’s favorite food is anything filthy. They feed on wastewater pumped out from factories. As it moves, it loses bits of its body, from which new GRIMER emerge. This worsens the stench around it. Its main source of food is the slimy industrial waste of factories. This Pokémon’s numbers have been decreasing in recent years. The wastewater coming from factories is clean these days, so Grimer have nothing to eat. They’re said to be on the verge of extinction. A Grimer, which had been brought in to solve a problem with garbage, developed over time into this form. There are a hundred or so of them living in Alola’s waste-disposal site. They’re all hard workers who eat a lot of trash. Brought to Alola to solve the garbage problem, Grimer seems to relish any and all kinds of trash. Grimer learns the following moves in Pokémon Let's Go Pikachu & Let's Go Eevee at the levels specified. Grimer learns the following moves in Pokémon Ultra Sun & Ultra Moon at the levels specified. Grimer learns the following moves via breeding in Pokémon Ultra Sun & Ultra Moon. Details and compatible parents can be found on the Grimer egg moves page. Grimer can only learn these moves in previous generations. It must be taught the moves in the appropriate game and then transferred to Pokémon Ultra Sun & Ultra Moon. We don't have any Grimer questions yet!